Last year, Lenovo unveiled an add-on for its flagship tablet, called the 'Home Assistant Pack.' 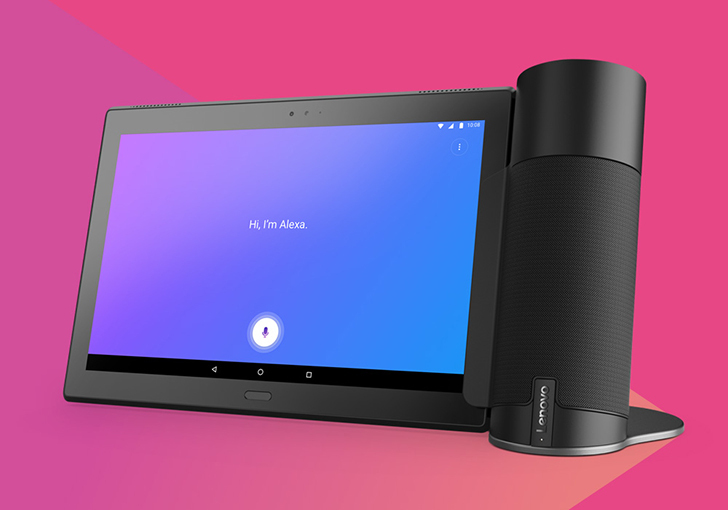 By docking a Lenovo Tab 4 into the Home Assistant Pack, it became an Alexa speaker. The company is now working on similar products, according to a recent announcement. "Lenovo and Amazon are coming together to challenge the status quo in the tablet category with Lenovo Smart Tab," the company said, "a brand new line of voice-activated tablet solutions for the home." The tablet will become a fully-functional Echo Show when docked, instead of an audio-only Alexa speaker, like the Tab 4. No other details were revealed, but Lenovo says it will share more about the Smart Tab "later this year."